– Partner up! There are many businesses allied to jewelry that sell well on Mother’s Day, including candy, flowers, cards and more. See if there are related retailers in your area (or online) who might like to cooperate on some co-op marketing ideas. – Offer Personal Shopping. You can Words like “best” and “greatest” and “hottest” convey almost nothing and are over-used in jewelry marketing copy. Instead of using superlatives, describe your jewelry by focusing on what inspired you to make it and how the design reflects your personal interests and style. – Include special “stories.” For obvious reasons, Mother’s Day is a period where we reflect on mom, and many people have a special story to share about their mother. You still have time to ask customers to share their stories with you by e-mail or letter, with the idea that you’ll include (anonymously if requested) a collection of those stories on your website or as a special booklet with each order. – Offer to customize a piece. Including or engraving a special message or even the gift recipient’s name or initials is a small but special touch that you can add. Partnering up with a good engraver is great for Mother’s Day and all year round. 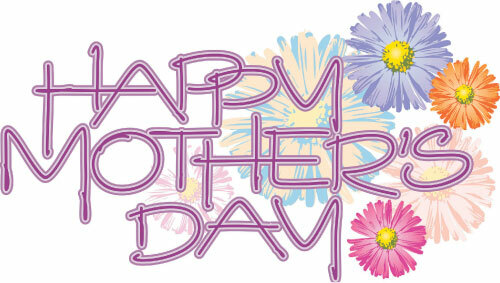 – Offer Mother’s Day Cards and Gift-Wrapping. Despite their best intentions, many gift buyers often wait until the last minute. For that reason offering cards and gift wrapping — for free or a small charge — is a nice extra service that enhances the experience of buying from you. Hello, enjoyed this article. It gave me something’s to think about implementing if not this year maybe next year. You’re welcome, Sue and thanks for commenting! Thanks Dr. Dave!!!! You are always so helpful. I offered free gift wrapping to my newsletter subscribers, but I think next time I’ll offer this more generally and add something else as well for my subscribers. Glad the post provided some food for thought, Patricia! Our pleasure and thanks for the comment, Robert!